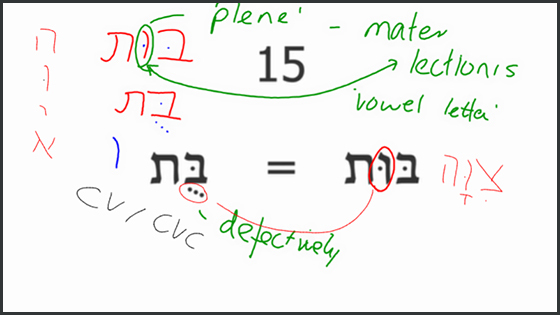 It's far from popular among students, but drilling in grammar and vocabulary has long been the default method for teaching Hebrew. The Rev Dr James Robson, who teaches at Wycliffe Hall, decided to swap pen and paper for stylus and screen, and is bringing new life to this ancient language using an interactive smartboard. Dr Robson set about redesigning his teaching around the smartboard, incorporating songs, texts, presentations and games - some even of his own making - and making use of annotation and other tools. After class, he makes the pages available in WebLearn. Poor retention and motivation are now things of the past, and seven of the nine students who sat Final Honours School in Theology, having been taught using the Smart Board, gained first-class marks on the elective Hebrew paper. The smartboard really lets us get on with the job of learning... so much more packed into the 50 minutes.